Most of our students don't get much chance to practice the more technical skills on their own, so we're opening up our range for 2 hours on Tuesday evenings (see calendar for schedule) to give you a chance to work on things like holster draws, trigger control, one-handed shooting, and more. Each week will be a different topic. Contact us to reserve your spot! Interested in firearms but not sure you’re ready for the range? This is a great place for you to start! We’ll spend 4 hours in the classroom discussing safe gun handling, some key differences in various types of handguns, and what you need to consider when purchasing a handgun. Cover the basics, learn safe gun handling, and then hit the range with our experienced handgun instructors to practice the fundamentals. The key to being a competent shooter is laying a solid foundation from the very beginning. Let us help you get started! We go beyond just getting you “legal”. 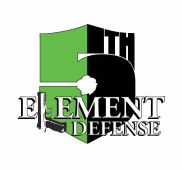 In our 10 hour CCW class we also explore the mindset, self-defense, and combat training considerations we believe are essential to being a prepared armed citizen. Students will gain a solid understanding of Ohio CCW laws, reciprocity, and application procedures. Let's face it, sometimes we just forget stuff. The Ohio CCW class is chock full of information and while we love to think you've absorbed and will retain it ALL, we know that just isn't reality. If you feel like you need a little refresher on Ohio CCW LAW, or have questions that weren't covered in class, consider joining us for a couple of hours while we cover a legal refresher and we'll do our best to answer your questions! If you’re already familiar with your firearm and ready to take the next step, come in for a refresher on the fundamentals of safe, effective shooting. In this class we will also cover holster work and the difference between cover and concealment. Passing this course is required for students wanting to take Defensive Handgun - II. Having a license to carry your gun doesn’t mean you’ve developed the skills needed to use it effectively. In this shooting-intensive course students practice these skills, including drawing from concealment, accurate target acquisition, engaging multiple targets, and reacting while under stress. **All students interested in this course must have completed and passed the AH-I course BEFORE enrolling in this course. Defensive Handgun students will continue to work on the important skills of marksmanship and target identification while exploring the more complicated facets of fighting effectively with a handgun. Successful completion of DH-II is required before signing up for this course. Designed for all students over the age of 15, this course will help you identify in what areas of your daily routine you and your family are most at-risk of violent attack. New shooters aged 10-16 will learn safe gun handling and the fundamentals of good marksmanship in this introductory course. Only .22 rifles of appropriate size for the student will be allowed. Students who are ready to progress to a .22 handgun will be offered the opportunity to work with provided firearms. A parent/guardian must accompany the student on the range at all times. Learn the skills and procedures needed to be a certified RSO.